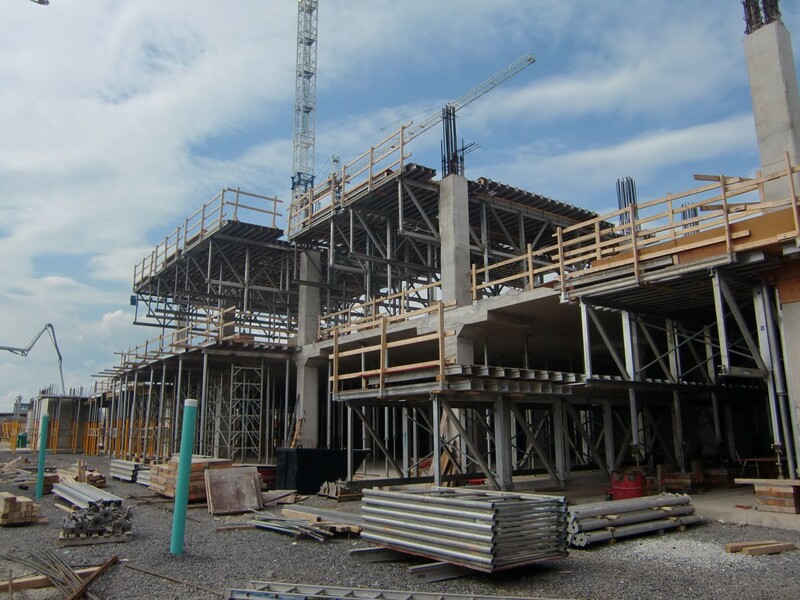 On July 31, 2015, the New Oakville Hospital achieved substantial completion on time and on budget. Officially named the Oakville Trafalgar Memorial Hospital (OTMH), this new state-of-the-art hospital will open its doors to the public on December 13, 2015. As we count down the weeks to the grand opening of the OTMH, join us as we reflect upon and celebrate the key milestones over the past four years of construction in our blog series. Next up in our series, we look at the first major milestone, the building and enclosing of all main structures, which was completed on time in September 2014. 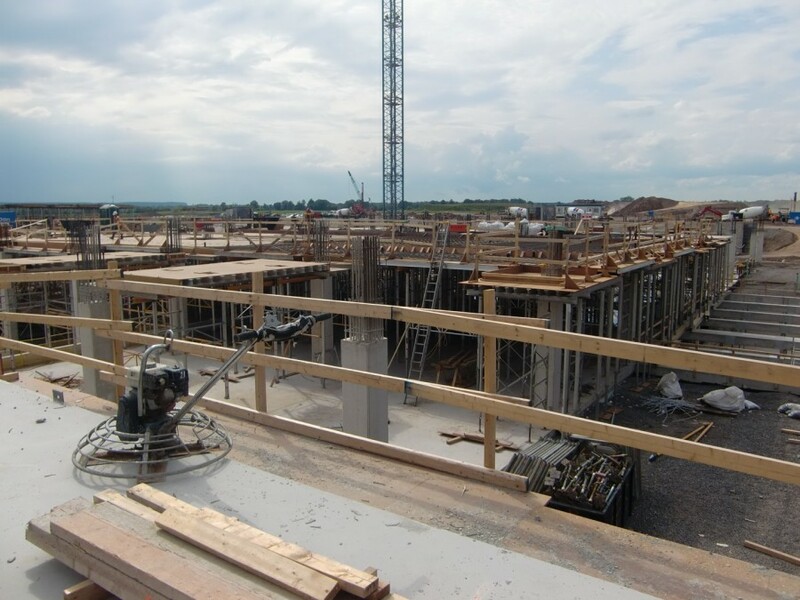 Construction of the new 1.5 million square foot of the New Oakville Hospital started in August 2011 and reached Substantial Completion July of 2015. The original plan called for each building, or complex, to be raised and enclosed in sequence, however, to meet aggressive timelines, the decision was made to build all complexes at the same time. Ellisdon completed excavation and foundation work during the summer. 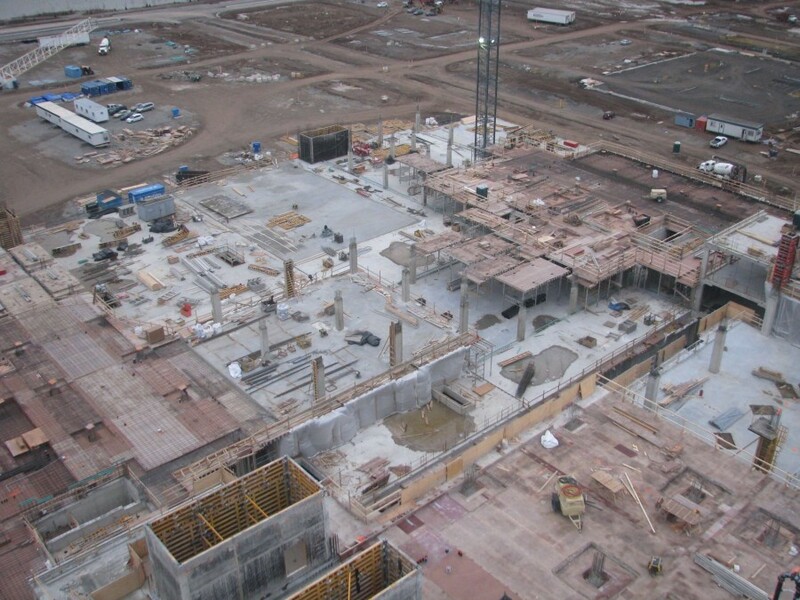 During winter construction continued for all building structures. 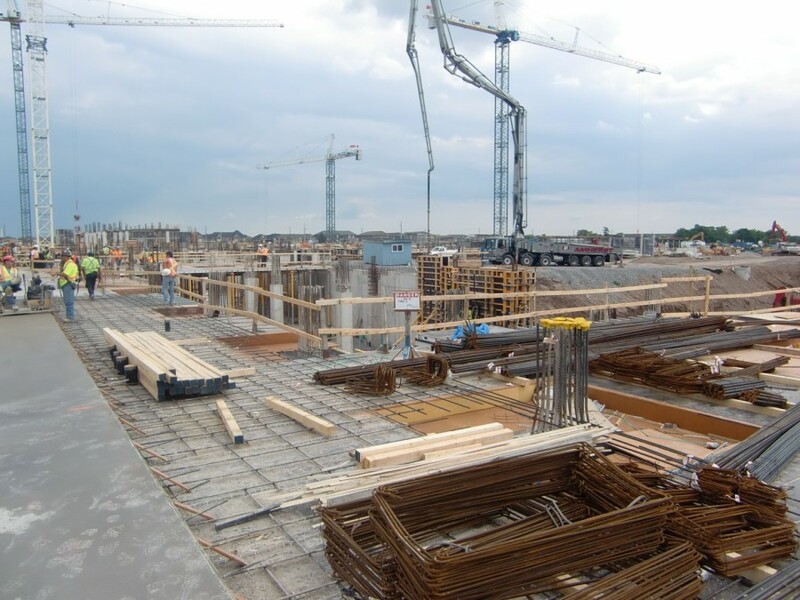 Up until the point of the buildings being enclosed, timelines can be greatly impacted by weather and the elements putting the project at risk. 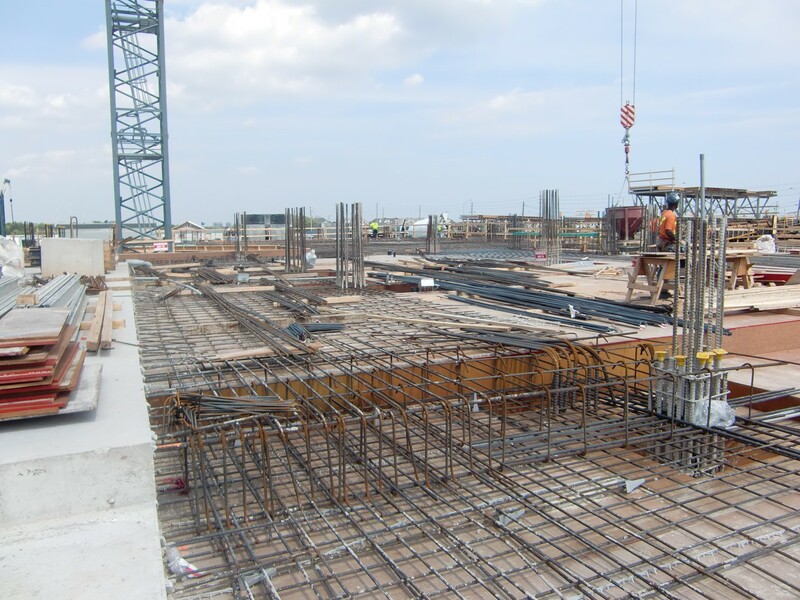 Designed and built with the goal of achieving LEED Silver certification, the New Oakville Hospital has four main buildings, all of which include full or partial below grades basements. Ten-storey inpatient tower complex that houses patient rooms, intensive care unit, operating theatres, public spaces, main laboratory, public spaces, medical surgical patient rooms, and pre- and post-operative support functions. Five-storey continuing care and rehabilitation complex, which will support a number of outpatient programs such as ambulatory clinics, nephrology, medical day care, and minor surgical unit. Four-storey therapeutic and diagnostic imaging complex that houses emergency care, diagnostic imaging, ambulatory clinics, maternal/child services, and adult mental health. Two-storey main hospital entrance which serves to welcome visitors and connect the rehabilitation block to the inpatient tower block.